← Cause for public optimism? After Mali emerged from authoritarian rule in 1991, the United States government ramped up bilateral development and military aid to the country’s new, formally democratic regime. American trainers began working with Malian soldiers; those of us who spent time in towns like Segou or Sévaré in the late ’90s regularly encountered US Special Forces troops during their rotations there. Then came 9/11, the Global War on Terror, and the founding of Al Qaeda in the Islamic Maghreb (AQIM); the Pentagon spent millions on new programs to train and equip armies throughout the Sahel region, and in 2008 created AFRICOM, a new command for Africa that has been quietly expanding its activities on the continent ever since. With the March 2012 coup and near-total collapse of Mali’s military, it became painfully evident that none of these initiatives succeeded in building a Malian force to counter the threat from AQIM and other armed groups in the region. As Greg Mann wrote shortly after the coup, “a decade of investment in Special Forces training, cooperation between Sahelien armies and the United States, and counterterrorism programs of all sorts run by both the State Department and the Pentagon has, at best, failed to prevent a new disaster in the desert and, at worst, sowed its seeds.” Numerous critiques of US assistance to Mali have followed, some (e.g. Barry Lando in the Huffington Post) suggesting that American military training inadvertently helped the rebels win. These critiques, however, lacked specific evidence as to what went wrong. A recent study fills this gap, offering an insider’s insights into the failures of US military aid to Mali. It was written by Simon Powelson for his masters thesis at the Naval Postgraduate School, on which he was advised by anthropologist and defense analyst Anna Simons. Powelson, currently a major in the US Army, led Special Forces training teams on multiple rotations to Mali between 2009 and 2011 as a captain (his participation in a 2009 exercise in Gao, for example, is documented in leaked State Department cables as well as by Agence France Press). The author draws from his own experience, interviews with US, Malian, and French military personnel, evidence from WikiLeaks cables, and various published sources to produce probably the most comprehensive assessment yet made public of the Pentagon’s failed approach to counterterrorism in the Sahara and Sahel. Powelson’s principal focus is on the period after the US Department of Defense created the Joint Special Operations Task Force-Trans Sahara (JSOTF-TS) in 2006. This group took the lead in providing in-country training to the Malian armed forces. From 2009 its instructors began working with composite Malian units known as ETIAs (an acronym for Echelon Tactique Inter-Armée), which were key to the Malian Defense Ministry’s strategy to secure the north. (A 2009 State Department cable referred to ETIAs as “Mali’s current unit of choice in the fight against Al Qaeda in the Islamic Maghreb.”) An ETIA consisted of 160-200 soldiers drawn from different service units; these soldiers rotated into the ETIA for a roughly six-month stint in the north (considered a “hardship tour” in the Malian military), then rejoined their original outfits elsewhere. Four ETIAs were responsible for security in an area roughly the size of Texas. displayed an almost total lack of basic soldier skills. 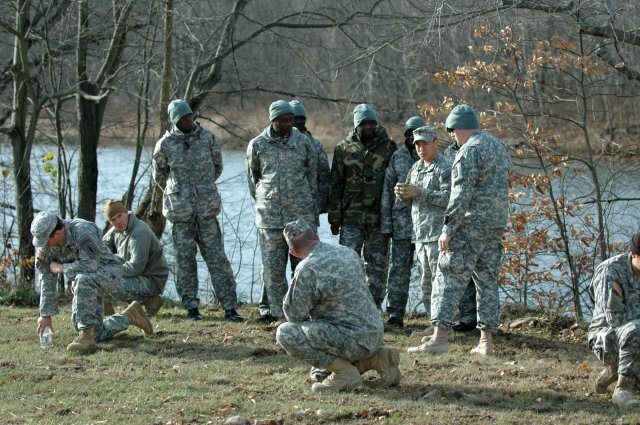 Some soldiers claimed never to have fired their weapon before the JCET [Joint Combined Exchange Training, conducted by US personnel]. Others could not disassemble their weapon. And still others were perplexed why their rifle would not fire when filled with sand! Furthermore, during initial rifle training, the ODA [Special Forces A-team] observed some soldiers firing with their eyes closed! There were individual exceptions, but overall the poor skill level was… shocking. Even after two years of near-constant ETIA training operations involving US Special Operations instructors from the Army, Navy, Air Force and Marines, the ETIAs’ combat capabilities remained abysmal. Such deficiencies did not go unnoticed. By mid-2010, American and Malian officials planned a fresh start with a new unit, the Compagnie de Forces Speciales (CFS), the members of which would be drawn from the Malian army’s most elite group, the 33rd Airborne Regiment. This unit was to be mission-ready in five years–but AQIM and its allies didn’t wait that long, launching their insurgency in late 2011. In contrast to the ETIAs, which “completely disintegrated as cohesive fighting units” once the shooting started, according to Powelson, CFS troops acquitted themselves well on the battlefield. But they were too few and too poorly supplied to stem the tide of disaster that engulfed Mali’s military and ultimately the entire country. US military assistance never addressed this dysfunctional organizational culture, as AFRICOM’s commander acknowledged last year. Rebuilding Mali’s military and fostering cultural change within it requires what Powelson calls “enduring engagement”; this is what planners intended by creating the CFS, and what the European Union Training Mission in Mali (EUTM) has done for the past year. Rather than transferring knowledge and skills to individual soldiers, EU officers have helped the Malian Defense Ministry form new units from the ground up. Four battalions of about 650 troops each have now completed 12-week EUTM courses in Koulikoro designed to foster unit cohesion as well as train capable soldiers. The mission was recently extended by two years and will include members of Mali’s National Police, Gendarmerie, and National Guard. US military aid to Mali, meanwhile, has been suspended since the coup: “Any eventual resumption of assistance to the Malian military will prioritize security sector reform, professional norms, the reassertion of civilian authority, accountability mechanisms, and the rule of law,” the State Department said in a press release last September. If Powelson’s analysis helps settle the question of how and why America’s episodic engagement in Mali failed, it raises broader, more vexing questions, to which that press release alludes. Will enduring engagement with the Malian military be enough? Malian troops still harbor a deep distrust toward their military and civilian leaders. More to the point, once an effective military is created, can it be sustained in the absence of an effective state? The ills of the armed forces are, at their root, the same ills that afflict the Malian state as a whole; the culture of apathy Powelson observed within the army extends throughout the government. Yet “nation-building” is unlikely to be on donors’ policy agendas, thanks to a decade of harsh lessons in Iraq and Afghanistan. Strengthening the Malian state will be an enduring process indeed, and it would be unrealistic to expect Malians to make it happen on their own. But even if Western governments commit significant time and resources to that process, it’s not clear that they have either the knowledge or the patience necessary to see it succeed. This entry was posted in Uncategorized and tagged army. Bookmark the permalink. Bruce, Excellent post. I wish I had had this post available to me when I wrote Chapter 5 of my book. I hope you are well. My manuscript is making its way through the publication process. I’ll keep you posted on how it goes. Ashgate is saying that the target date for release is this November some time. I’ll be in touch. Indeed, excellent post!! I hope other donors (EU) read this and Powelson’s thesis. Very true what is written in this article. Apathy and distrust of soldiers to the political structures is true and logic but what about the naïve policies of donors who preached that this democracy was an ideal example while it was not. Isaline Bergamaschi has written some terrific analysis of donors’ willful blindness to the problems besetting the Malian state, and the farce of what she calls “donor-driven ownership.” Donors could have demanded more transparency and accountability, for example. But it takes two to tango: the Malian classe politique went to great effort to tell donors what they wanted to hear, putting on a show of inclusive governance while continuing business as usual (extractive and exclusive) behind the scenes. My hope throughout the crisis that began two years ago was that it would spur officials and voters in Mali and in donor countries to reevaluate what meaningful democracy is. The Malian public certainly has done so and continues to do so. So far, however, I’ve seen little evidence that officials on either side are doing anything other than business as usual. thank you Bruce for your reply. I have experienced when I lived in Mali that the political class survives on what donors demand them to do. It is true that they know exactly what donors like and want to hear. There are still many wise Malians who detest this attitude but they do not have a voice. They struggle every day to survive. I would be very interested in the period after captain Sanogo’s coup when the donor’s money stopped to enter how Malian society was coping this situation. I have done some research but that stopped when Traore took over the interim presidency. Now IBK is in full power it looks like the old situation is back. Donors give and Malians know exactly what donors like. Sometimes it looks like prostitution: we deliver what you like on condition that you pay. Do you know any Malian researcher looking and researching this recent history? Thanks–I’ll take your word for it, though the “Inter-Armee” version is used by a number of sources in addition to Powelson’s text. I haven’t seen any real evidence that the Malian public is undertaking a reevaluation of what meaning democracy is. Malian civil society seems just as eager as the political class and donor community to rush headlong back to the status quo ante, and their complicity is part of what makes “business as usual” possible. What am I missing or were should I be looking? I would agree that Malian “civil society” in its formal sense has not been on the vanguard of the movement I described. But I was encouraged in 2012 to see grassroots, civic-minded groups like Les Sofas de la Republique emerge, with the goal of fostering public discussion about what democracy means. In 2013 other groups emerged to monitor the presidential election. It was an exaggeration on my part to claim that “the Malian public” is having this discussion, but there’s certainly reason to believe that more Malians are talking about the subject than in the past. An excellent post for a complex problem. I am currently working on a paper for Transparency International on the effect of the military and corruption on stability in the country. Any bright ideas on sources for this would be gratefully received. My own personal experience is Nigerian based. The donor nations does tend to assume that “the people”, if given a voice, would bring down corruption and misgovernment and all would be peace and light. In Nigeria and I read also in Mali, the man on the street seems to share this view. The truth is of course that “the people” are a mixed bag everywhere and not usefully defined in unitary terms. When individuals do make it to power from the ranks of “the people”, they all too often bend their ways and learn to work within the system they have joined. They become part of the problem, whether for reasons of culture, family pressure, financial necessity – or just plain greed. The idea that a new set of leaders will fix the problem has so seldom worked. There are of course many honourable exceptions. Nelson Mandela is the most obvious (and unique) example of a great leader who has been able to see the world anew. I haven’t seen a great deal of published studies on corruption in Mali, though it is a constant topic of discussion and (mostly) speculation in the Malian press. I did write a blog post on the topic a couple of years ago. In a general analytical sense, I’d highly recommend Daniel Jordan Smith’s “A Culture of Corruption” which is actually about Nigeria. Bruce, thanks. I will have a look at it. The trouble with corruption is that researching it is hard! No-one seems to want to provide evidence and we are left with hearsay. TI want to show the linkage between a corrupt military and national instability. Showing causation of the one by the other is certainly tricky as the 2 things are linked in a perpetual loop. Finding chicken from egg is proving tough. In Mali, as in Nigeria, my reading suggests that the military reflect very accurately the nation’s cultural complexity both in its strengths and weaknesses. The spiral of failure does not have its roots in the Army. On the other hand, the Army lost the fight in the North in 2012 and the Army ran the Coup! Thanks for a great post, Bruce! J – From what I understand of your project, you might also find Africa Works: Disorder as Political Instrument by Patrick Chebal and Jean-Pascal Daloz useful.